Adding a rubber-tracked crawler to the farm’s tractor fleet probably means that someone will need to take the appropriate driving test if the vehicle is to be used legally on public roads. Having taken his car test more than 30 years ago, Farmers Guide machinery editor, David Williams brushed up on his Highway Code, borrowed a rubber-tracked crawler tractor and took his H category driving test to find out what was involved. Farmers Guide machinery editor David Williams was one of four H category test applicants examined by the DSA sector manager for the eastern region, Owen Corrigan.Holding a driving licence for other vehicles such as wheeled tractors or cars is not a qualification to use a crawler tractor on public roads unless the driver displays L plates, and breaking the law is not a good idea because the consequences for the driver and employer could be serious if an accident occurs. Rubber-tracked crawlers have become a popular weapon in the fight against compaction and soil damage, capable of transferring high engine horsepower to the ground while providing low ground pressure to protect the soil and extend opportunities for field work. The older steel-tracked crawlers were usually difficult to move around, chewing up grass and road surfaces and with a slow top speed, but rubber tracks are more versatile and faster, and they offer more driver comfort. The fact that they are often narrower than a wheeled tractor of similar power can make them easier to move on the road and sales have increased. The steering on most modern tracklayers is controlled by changing the relative speed of the tracks causing the vehicle to pivot in the required direction, and this is why there is a special vehicle classification when used on public roads. This is category H and it means that road travel drivers who have not passed the special H category test must hold a standard car licence, display L plates, must not tow equipment or a trailer, and must be accompanied by someone who does hold an H category licence unless the vehicle is constructed to carry only one person. Most farmers and farm employees will have gained many thousands of hours of experience driving conventional tractors and other farm machinery, and will have either taken a specific tractor road driving test or are driving tractors as an additional vehicle type included in their car driving licences. It is easy to overlook the fact that the law is different for category H tracklayers. Although most franchised dealers provide instruction and advice when delivering a new tracklayer, there is no dealer handover when a used tractor is sold at auction or privately, and for first-time tracklayer buyers the need to take and pass the test is easily overlooked. “The responsibility is with the policyholder to make sure that they, or someone driving with their permission, holds the appropriate licence,” explains Tim Price of NFU Mutual Insurance. “In the event of an incident involving an unlicensed driver, the Road Traffic Act would require the claim to be paid by us, but only the third party part of the claim, and we would reserve the right to reclaim that amount from the policy holder.”So what does the test involve? For practising, the tractor must meet the above standards and unless it was constructed to carry only one person, the driver must be accompanied by someone with a valid licence for the vehicle. Removing an additional seat to allow unaccompanied practising is not allowed. Mark James of John Deere provided Farmers Guide’s learner driver with expert tuition, which began with getting used to the basic controls and steering characteristics. Challenges were introduced, ranging from a gentle slalom to a more demanding ‘garage’ test in which old car tyres formed the sacrificial barriers. The top-of-the-range John Deere 9560RT with up to 616hp available proved to be unexpectedly manoeuvrable – far more so than a large conventional wheeled tractor – and very few tyres were ‘killed’ during the ‘garage’ test. Practising on land adjoining John Deere’s UK headquarters at Langar, Notts. Tyres were used to provide challenges for the candidate driving the flagship 9560RT crawler. A characteristic of large modern crawlers is that immediately the steering wheel is turned, even when stationary, the tractor pivots in that direction. This requires considerable caution when parked next to a wall, other vehicles or people, but it does allow the operator to begin a manoeuvre while the tractor is stationary. Another consideration is that rubber tracks are costly and scrubbing them by manoeuvring tightly at high speed or pivoting on the spot causes excessive wear. Moving slowly while manoeuvring is far kinder to the track assemblies, but the ability to make tight turns means it can be easier to correct positioning errors than on a similar-sized wheeled machine. The H category driving test can include an ’emergency stop’ which, as in a car test, assumes that a pedestrian has stepped out in front of the vehicle and demands a rapid but controlled stop. On the hard, dry surface of the practice area the rubber tracks maintained their grip, stopping the 20t tractor from 15kph in a very short distance. The practical part of my test started with the examiner, Driving Standards Agency (DSA) sector manager for the eastern region, Owen Corrigan, checking my licence details, followed by a walk-around the tractor while he asked about the routine service and maintenance checks. He inspected the tractor for road-worthiness and checked that L-plates were correctly displayed. Mr Corrigan observed from the roadside, while I re-checked my seat, steering wheel and mirror positions, fastened my safety belt, checked that the area was clear and started the engine. I completed two circuits of the route, which included a single-track lane as well as a busier road and several junctions with restricted visibility. During the test the examiner moved locations to enable him to watch each manoeuvre. Initial fears by the examiner that the rural roads might prove too quiet for adequate interaction with other vehicles and drivers quickly proved groundless, the local population apparently choosing the precise time and route of the test to set out on their travels and ensuring plenty of minor challenges on the narrow roads. Having completed two circuits under supervision, the next task involved travelling several hundred metres up the road, reversing in to a track entrance and returning back to the start point again. This was carried out twice while the examiner watched from different vantage points to ensure safety standards were maintained. The time spent driving on public roads during the test should be 30 minutes. Satisfied with my driving performance, the examiner ended the test by asking questions relating to the Highway Code, and having answered enough questions correctly, the test certificate was completed and handed over. So, 30 years after taking my previous test, what was it like facing a driving examiner again? I had made sure I was up to date with the latest Highway Code, which has changed significantly during the last three decades. When I passed my previous test, for example, there were only zebra crossings, but they have been joined by pelicans, puffins and toucans in the current edition. The time I had previously spent practising on a tracklayer was definitely worthwhile and the tight manoeuvring under John Deere instruction was excellent preparation for the control needed along the single track lane. The examiner was professional but friendly, offering positive feedback during the test which was welcome. In all, the test took about 40 minutes and my advice to anyone needing to take it is to spend time practising with someone who knows what they are doing, brush up on the rules of the road and drive with common sense and consideration. What was the examiner looking for? Asked for hints that could assist those needing to take the test, Owen suggests taking instruction and preparing as thoroughly as possible. “Preparation is essential,” he explains. “Candidates are far more likely to perform well in the test if they take the trouble to practise adequately. One of the problems for many farm machinery operators taking the test is that most of their driving is away from other traffic in fields and it lacks the interaction, and so on the road, extra thought and attention for other road users is especially important,” he says. Pictured after passing their category H tests are (l-r) P Tuckwell Worlingworth service technicians Ollie Rumsey and Chris Askew; dealer development manager Mark Debenham; examiner Owen Corrigan; branch sales manager Tom Mason, and David Williams. Why bother? P Tuckwell Worlingworth depot sales manager, Tom Mason feels it is essential that all staff within the dealership who might have to operate the crawlers at some time are appropriately qualified. “We need to make sure we are operating legally and when our staff are out demonstrating it allows us to provide a more professional service,” he says. “We can be more flexible and are not dependent on lorry transport if we have correctly licenced drivers. We tell our customers that their operators should take the test and it doesn’t look good if they ask about our own staff and we have to explain that they haven’t taken theirs. Tom says all sales staff at the dealer have taken and passed the test, as well as service technicians who work on the larger tractors. “It’s not enough to just say we are selling a machine; we have to demonstrate that we know about the machine too,” he says. Tuckwell has more than 40 John Deere rubber-tracked crawlers out on farms but Tom says that often farmers are unaware of the need for the licence until dealer staff raise the subject. “Everyone knows that to drive a bus or a heavy goods vehicle they need the appropriate licence,” he explains, “but there is less knowledge about the tracked vehicle licence. “Later model crawlers have suspension and a significantly improved ride and better cab, and this has resulted in increased demand. The main advantage customers are looking for is reduced compaction compared with a wheeled machine, and the more stable ride which results in more even depth control for cultivations and drilling. It is a growing market,” he adds. Agco Challenger area sales manager Steve Sampson agrees that the H test is just ‘something that has to be done’, and he feels there is growing awareness by farmers of the need to comply with road legislation. “We actively encourage our dealers and customers to make sure all users of the Challengers have passed the test. Even if it is seen as a ‘grey area’, the user should still make sure the classification is on his licence as the potential consequences of something going wrong, and then finding that the user didn’t have the correct licence could be very severe. “All the staff at Challenger in the UK have taken the test. Sales and service staff took it at the same time a few years ago as we felt it was the right thing to do. It all goes with being a professional company,” he adds. 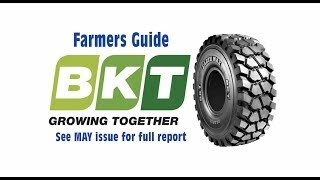 More than 850 Challenger crawlers are working on UK farms, according to Steve, and he says there are enquiries from new users keen to have the benefit of rubber tracks. “We do see increased interest when wet weather makes the working conditions more demanding. It is interesting that demand for the more powerful 800 series models is increasing, mainly for use with wider cultivation and crop establishment equipment enabling larger areas to be tackled when the weather allows. With more potential first-time users of crawlers expected this year, we anticipate questions regarding the H category licence to be a frequent topic of conversation, during discussions with dealers.” Worth the risk? The H test is straightforward, costs 62, takes 40 minutes and the qualification lasts a lifetime. If I were a farmer in any doubt as to whether my workforce needed to take the test, then with the potentially severe consequences that could follow a serious road accident, I would put them through the test anyway.CATEGORY H FACTS Which vehicles come under category H? The definition is “track-laying vehicles steered by their tracks”. 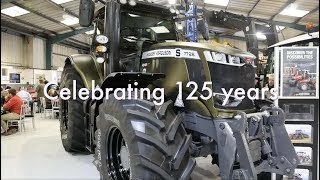 The most common agricultural examples include Agco Challenger and John Deere rubber-tracked crawlers plus bulldozers, steel-tracked crawlers and specialist horticultural and vineyard tracklayers. The Case IH Quadtrac uses its articulated chassis to steer so is generally considered to be outside the category H classification, but this appears to be a grey area as it is also steered by its tracks. An NFU briefing in 2010 stated that the Quadtrac is not covered by the H category, but not all authorities support this view. The NFU is currently researching whether its existing guidance is still valid and will produce an updated briefing shortly. The Case IH Quadtrac uses an articulated chassis to steer and so is generally not considered to be included within the H classification. Most tractors fitted with half-track conversions retain the original front wheel steering and are not covered by category H requirements. Combines as well as most root crop harvesters with tracks use wheels to steer and are also outside the cat H licence requirement. Practical test; 62 or 75 for weekends, evenings and bank holidays. ‘The Highway Code’- DSA (also available now as a smartphone app. Driving Standards Agency website- www.gov.uk and select ‘driving, transport and travel’.